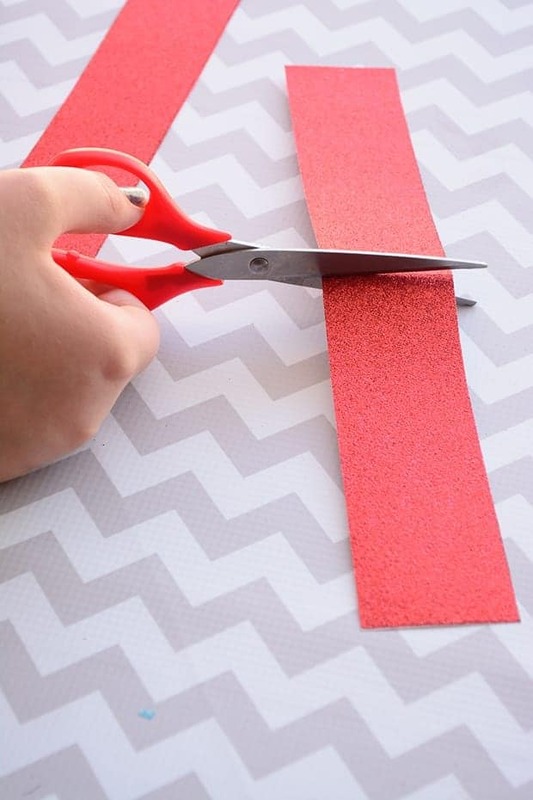 I love fun Valentine's crafts that can be used long past the holiday. It seems like I throw away a Valentine's mailbox every year. 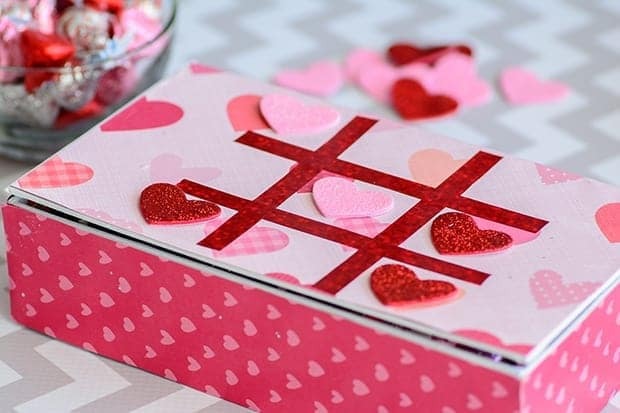 This Tic Tac Toe game box is a fun craft that your kids can decorate and even use candy as your game pieces making it super sweet! Here is what you'll need for this project. 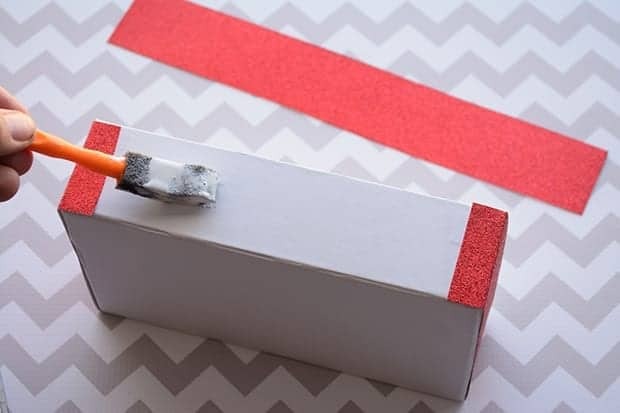 To cover the rest of the box, place the box on the edge of the scrapbook paper and trace a line to the top of the paper. Starting with the bottom of the box, glue paper down using the modge podge. Fold paper over and cover the narrow back side of the box. Glue down using modge podge. 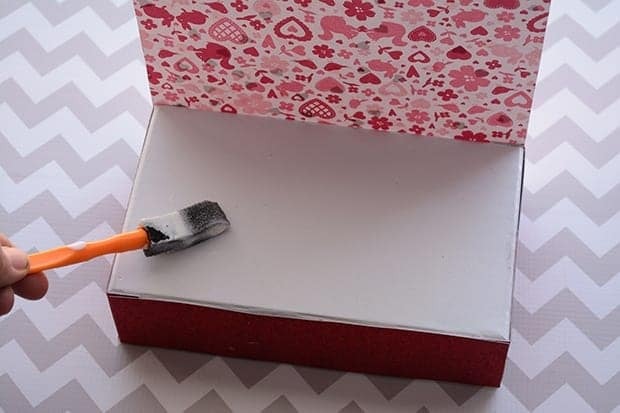 Fold paper over and cover the top of the box. Glue down using modge podge. 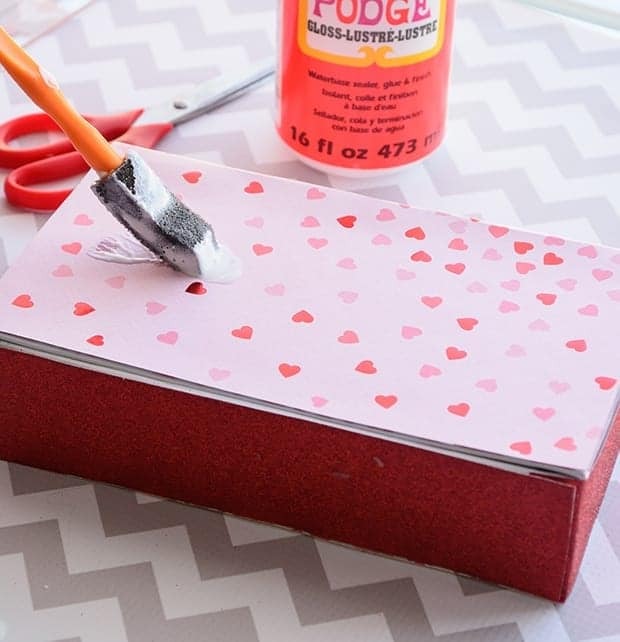 To seal and make it kid proof cover the whole box with a modge podge coating. Repeat once more to really seal everything together. 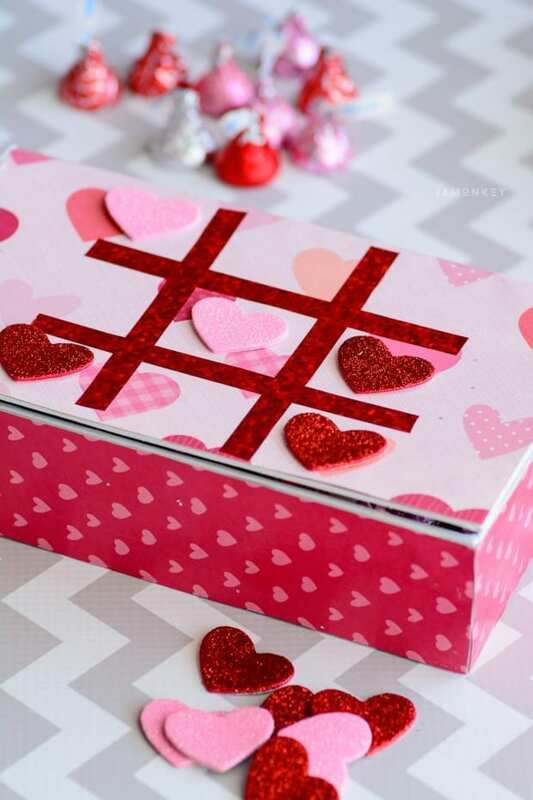 Using washi tape, make a tic tac toe board on the top of the box. 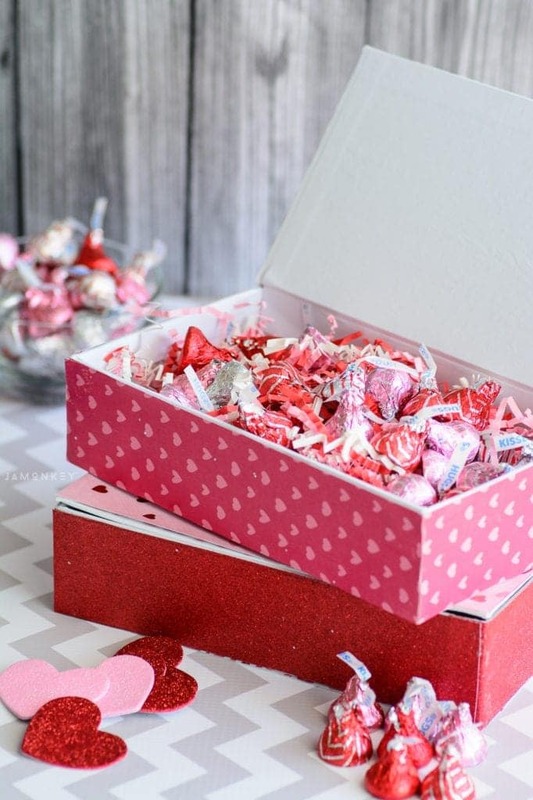 Place foam glitter hearts in the box along with candy treats. Have fun creating and have a Happy Valentine's Day!